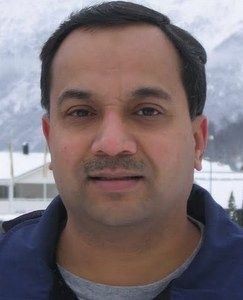 Rajendra Akerkar is a Professor of Information Technologies (IT) at Western Norway Research Institute (Vestlandsforsking), Norway, where his primary domain of activities is Big Data and Semantic Technologies with aim to combine strong theoretical results with high impact practical results. His research and teaching experience includes over 23 years in the Academia spanning different universities in Asia, Europe and North America. His recent research focuses on application of Big Data methods to real-world challenges, and social media analysis in a wide set of semantic dimensions. He is also adjunct professor at the University of Oslo, Norway. He is the Editor-in-chief of the International Journal of Computer Science & Applications (IJCSA). He is co-organiser of several workshops and the scientific committee member of many reputed international conferences in the field of big data, Semantics & Web intelligence. He has co-authored 13 books, around 100 research papers, co-edited 2 e-Books and edited 5 volumes of international conferences. Recently, He has edited a comprehensive reference book on ‘Big Data Computing’. He is also actively involved in several international ICT initiatives, and research & development projects, including FP7 projects, for more than 17 years. In 2010, he initiated world wide network on Web Intelligence, Mining and Semantics (WIMS).